We have altered the design on these slightly, moving the post a little further from the buckle than when we took the original pictures. We will replace all the photos soon, but for now you can see the new arrangement by clicking on the last thumbnail on the right. The locking post does not have to have a lock put in it in order for it to work. It works just fine with just the buckle. When you use the locking post, it attaches to the hole 4" past the hole in the buckle. 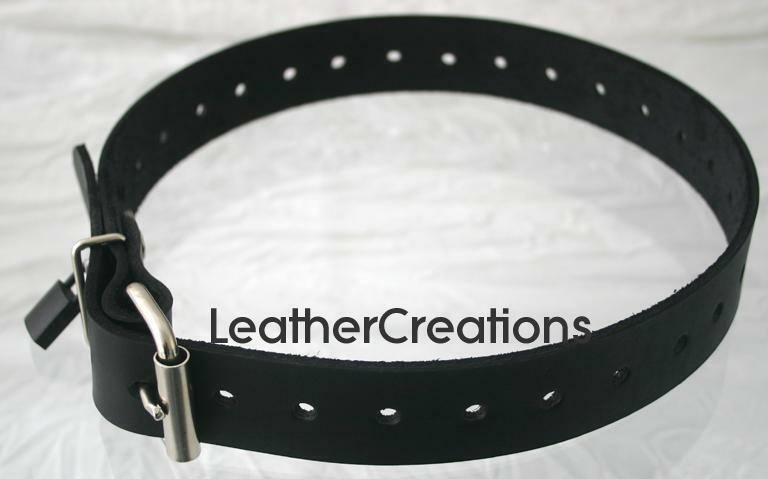 Therefore your belt will come 4" longer than the size you order, so it will lock at the size you want. The padlocks pictured are not included.